Athleisure is no longer a “trend”, it’s a full-on style movement that’s here to stay. From head-to-toe workout gear to sporty pieces mixed with polished staples, dress codes have given way to this new take on sportswear. Meaning, you can easily wear pieces you would typically reserve for breaking a sweat to the office, on a date and, of course, while off duty. The bum-baring shorts you wear in hot yoga? Not so much. But versatile items like leggings, sneakers, and hoodies? Heck yes! The freshness lies in the juxtaposition—taking an inherently casual piece and teaming it with smarter items for an unexpected twist—almost a so wrong it’s right kind of vibe. It’s all about balance and knowing what items work best together so that the effect reads cool, not sloppy. Sub a crewneck sweatshirt for a knit with a fluid skirt, or a weather-proof anorak and chunky sneakers with casual basics. 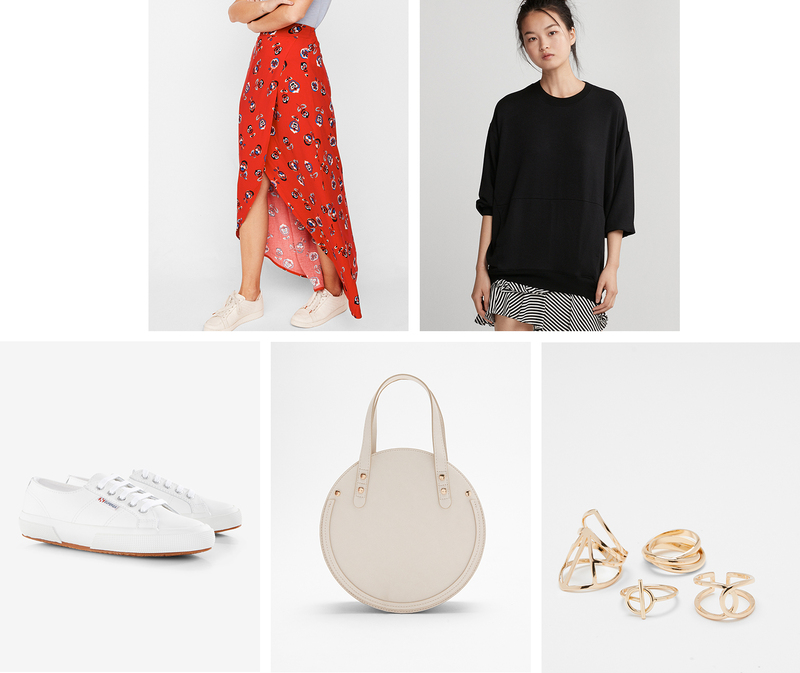 Once you have a few fail-safe formulas on standby, you’ll be able to easily assemble athletic-inspired looks with ease—a handy skill when you want a break from top-to-bottom tailoring or ultra-feminine pieces. Ahead, we’ve put together 5 sporty formulas to try now, ranging from office-approved to put-together looks for running errands. At work, you don’t’ want to go overboard with athletic wares. Ease in by trying a crewneck sweatshirt in place of your go-to knit—it will take the sweetness or stiffness out of tailored staples like a pencil skirt, feminine midi, or trouser so long as the style is sophisticated (i.e. slightly fitted and without a hood). Sleek accessories ensure an elevated effect. If you work in a more casual environment, don’t be afraid to rock a sneaker if heels aren’t your game. From running to soccer to basketball, sports shorts are making a huge comeback. 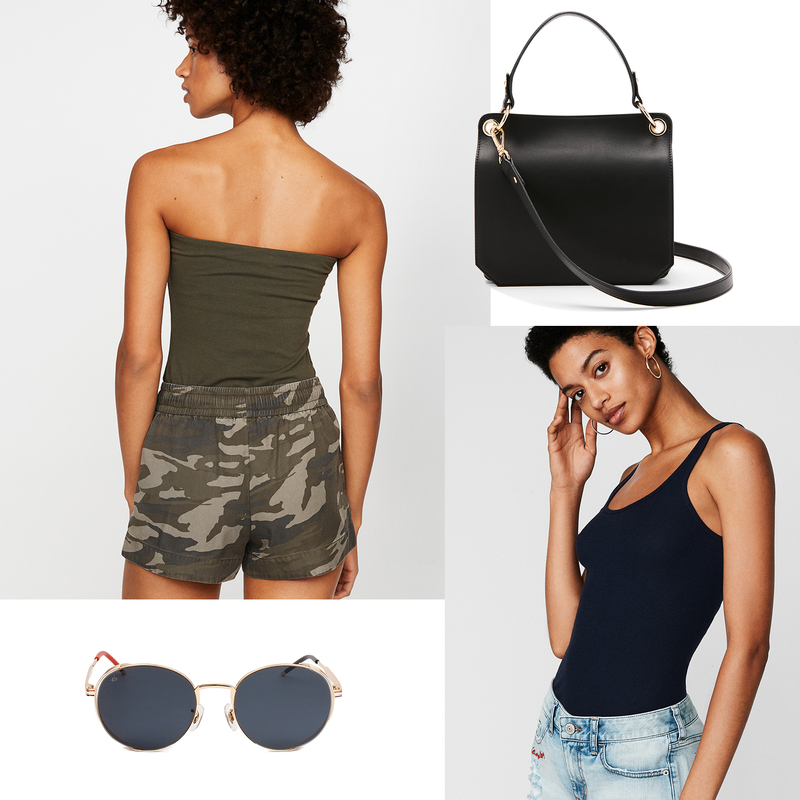 Style yours for the weekend—whether you’re hitting the farmer’s market, a casual brunch with friends or simply running errands—with a fitted ribbed tank and pool slides for a neatly relaxed look. For contract, polished extras like a pared-back cross-body bag and retro sunglasses are the perfect finish. 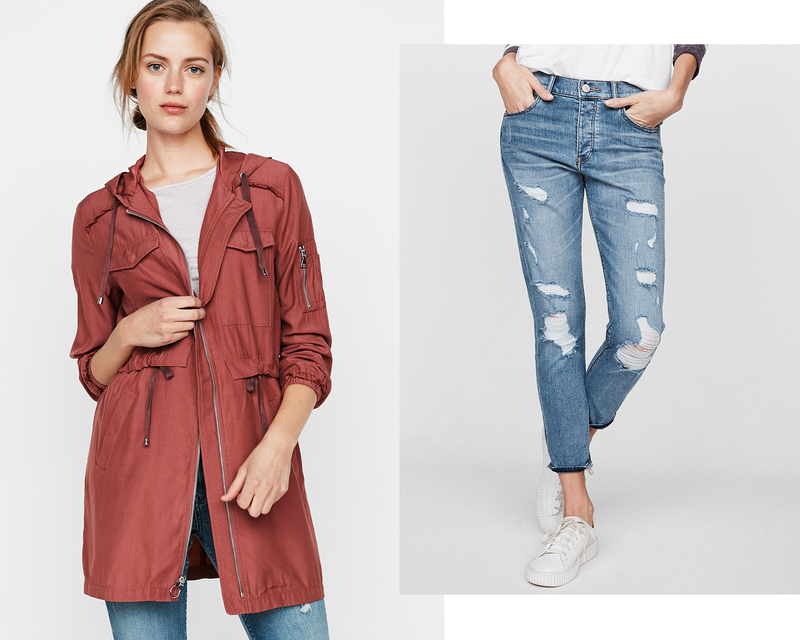 Windbreakers and anorak jackets made a splash this season from super technical styles to iterations designed for off-duty cool. Embrace the trend by wearing one over casual basics like cropped jeans and a tee or go for total contrast with one over a flouncy dress. With chunky sneakers and a slick backpack, you’ll exclude sport, but chic. Oh, leggings. What would we do without them? Outside the Pilates studio, dress them up with sophisticated pieces for work (again, only if your office errs on the side of casual) or weekend. A slightly oversized button-down shirt is classic and brings polish to stretchy bottoms. To further streamline the look, add in loafers, hoops and a structured bag. See? Leggings can read refined. Sure, a varsity tank can be worn on the field, but also for summer activities like outdoor concerts, beach hangs, and on-the-go style. 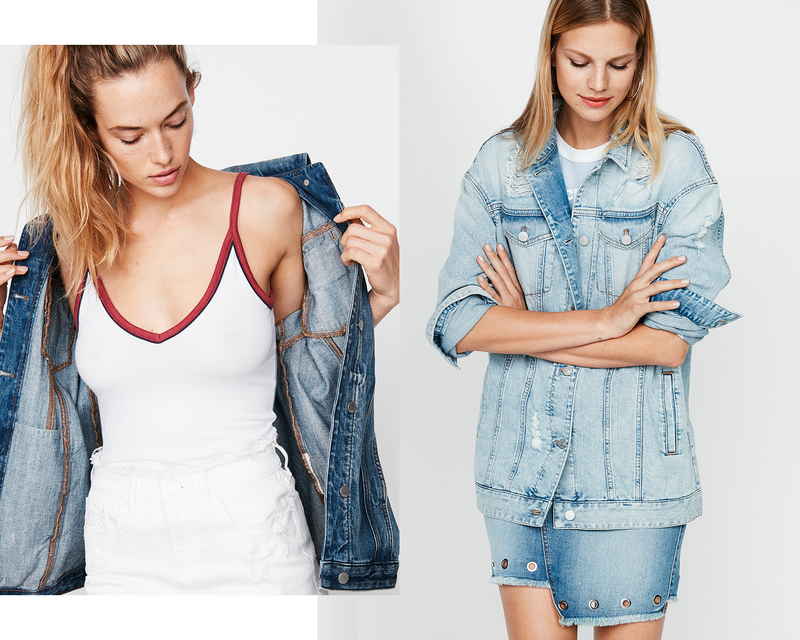 This one layers well with a white denim mini and oversized jean jacket (modern Canadian tuxedo, anyone?). A whimsical straw tote, barely there flip-flops (indeed, they’re back), and retro cat eyes push the look forward for a result that’s just touched with athleticism.